Cognac, a brandy from the Cognac region of France, is a category that is heavily stereotyped with an image of rich, successful business types enjoying a hearty measure with a cigar being puffed emphatically. But the thing with stereotypes, and Rémy Martin in particular, is that they’ve accustomed themselves to a Chinese whisper. One consumer hears that the cognac is a fine example of an after-dinner drink, therefore buys a bottle to impress their fellow colleagues and family. One whisper hits ten, which hits twenty and so on. Ultimately it can alienate the original consumer as they now see the category as just an after-dinner drink, a ‘mens only’ mix with a cigar or a £10 measure of what is basically distilled wine. Rémy Martin have attempted in recent years to bring back that original consumer, and their latest offering, Rémy Martin VSOP Mature Cask Finish, is winning the nods of approval. 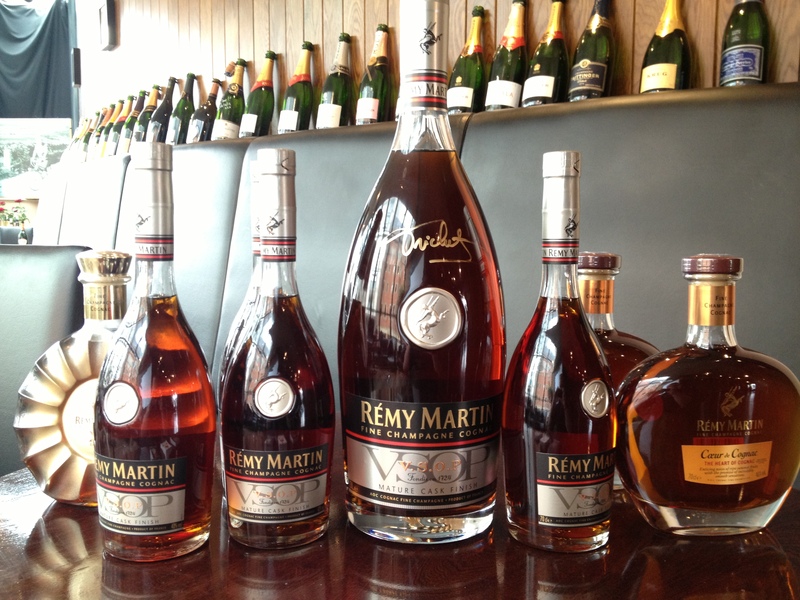 Before we look into this new expression, here’s a brief history on Rémy Martin itself. In 1724, Rémy Martin, a young wine grower, established his company and was approved by King Louis XV in 1738 to plant new vines, despite their being a ban to do so. Just under 100 years later in 1830, the first Rémy Martin was released with the mythical Centaur adoring each bottle from 1870 onwards. In 1910, expansion of Rémy Martin hit the shores of the USA, Russia and China, as did the VSOP expression seventeen years later. After being recognised for superior quality in 1938, they decide to blend 100% of their cognacs from the two hearts of the cognac region – Petite Champagne and Grande Champagne. The XO Excellence was released in 1981 followed by Centaure de Diamont in 2010. Subtle aromas of peach and apricot on the nose, with hints of oak warming nicely. A fantastic long and very smooth flavour of vanilla on the palate, with sweet notes kicking in between its silky texture. And compared to the original? Nice hit of fresh red fruit on the nose, with an almost clean aroma of olive oil coming through. Surprisingly thick on the palate, but with some great mixes of vanilla and honey before a slight kick on the throat. A long finish with a warm spice. But what about the rest of the range? Released in 2007. Fresh, rich fruit and spice on the nose and creates a very smooth texture on the palate. Sweet flavours of toffee and vanilla with a burst of dry fruit near the end. Created using 350 different blends. A bold yet dry nose of liquorice, spice and oak, followed by a smooth , well-balanced palate. Flavours of oak and dry spice blend well, creating a lingering warmth. Shake together all ingredients with ice and strain into a Martini glass. Garnish with an orange twist. In a tall glass lightly muddle the lime with sugar and the mint. Add the cognac, crushed ice and stir with a long spoon. Top with soda water. Garnish with a sprig of mint. Of course that doesn’t stop you enjoying Rémy Martin in a snifter glass or over a couple of cubes of ice. 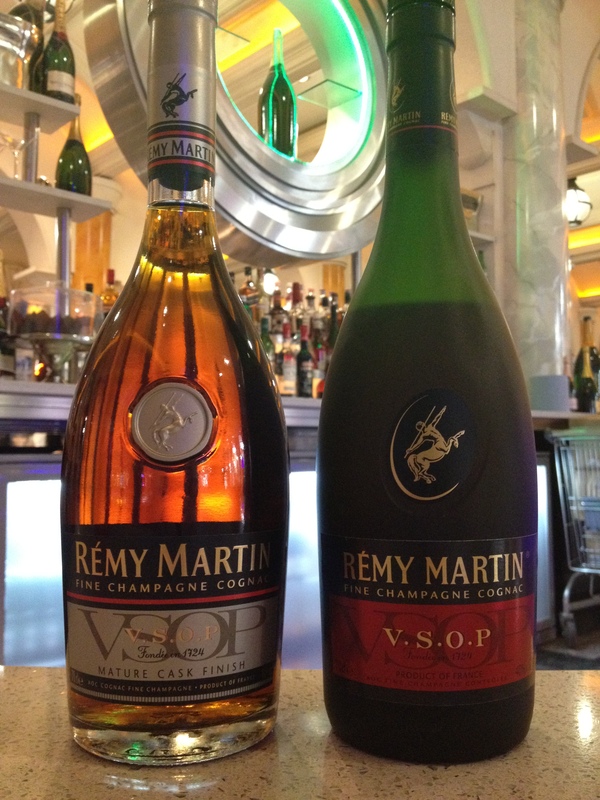 Whichever way is your prefered method of tipple, Rémy Martin really showcases the versatility of the cognac and indeed the brandy category itself, and caters not only for the business men of the world, but for the cocktail lovers and the less adventurous palate holders. Even the restaurant world can get in on the act with recipes like this. Enjoy! Check out the rest of the Rémy Martin photos, taken at The Circle 360, via my Facebook page. You can also see photos from the Rémy Martin tasting at Epernay via my Facebook page.